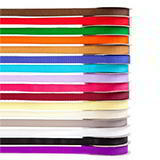 Available either plain or printed our range of bottle carriers are sturdy, practical and easy to customise. 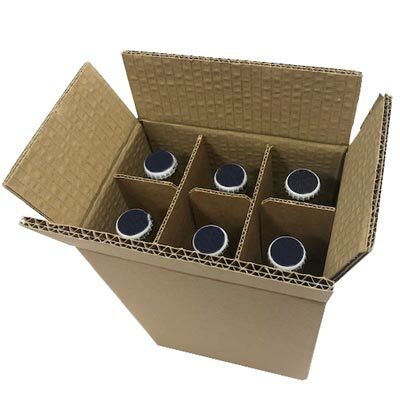 Manufactured from recyclable cardboard and sold in packs of 10, these bottle carriers are designed to enhance presentation, whilst offering a classy packaging option and are a perfect selection for microbreweries, craft brewers or distillery traders. Supplied flat packed these brown bottle carriers are easy to assemble - simply fold and tuck the flaps into place once your items have been placed inside. Why not add branding information? The cut-out display feature uses the board as an internal divider to avoid movement and bottles clinking together. The integrated handles make for easy transfer and handling. 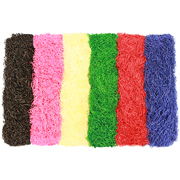 For customers with a brand image, we have now made printing on this product easy and more transparent to purchase. Please note MOQ applies. Excludes artwork charge as designs vary. Quoted price is for one colour print (Black Ink Only). Allow 3 weeks for delivery. The perfect choice for transporting or storing beer boxes. Dividers and outter box sold together. 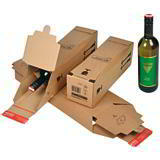 A smartly designed bottle box guaranteed to reach its destination in tact if used on a DHL service.